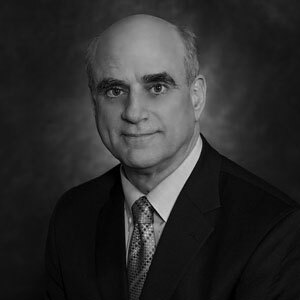 Stephen R. Connor, PhD has worked continuously in hospice and palliative care for over 42 years as a researcher, licensed clinical health psychologist, consultant, author, educator, advocate, & executive. After serving for 11 years (1998 – 2009) in the leadership of the National Hospice and Palliative Care Organization (US), as VP for research and international development, he is now focused on palliative care development internationally with the Worldwide Hospice Palliative Care Alliance (WHPCA), a global alliance of national, regional & other hospice and palliative care organizations in 98 countries. Connor has worked as the CEO of four different US hospice programs and has been a consultant surveyor for the Joint Commission. In addition to being a hospice and association executive, he is a researcher and psychotherapist, licensed as a clinical psychologist. Connor’s areas of research interest include: bereavement and health, denial in the terminally ill, outcome & global measurement in palliative care, and evidence-based care for the dying. He is a trustee of the International Children’s Palliative Care Network and a board member of the Elizabeth Kubler-Ross Foundation, chaired the board of the International Work Group on Death, Dying, & Bereavement, was board treasurer of the Association for Death Education and Counseling for six years, has been a member of the World Health Organization’s Technical Advisory Group on Palliative and Long Term Care, is a member of the scientific advisory board of the National Palliative Care Research Center, and serves as a member of the Editorial Board of the Journal of Pain and Symptom Management. For the last 18 years Connor has worked on palliative care development internationally in over 25 countries in Sub-Saharan Africa, Eastern Europe, Asia, and Latin American. He has authored or edited 5 books and has 125 peer reviewed journal articles and book chapters. While at NHPCO for several years Dr. Connor oversaw the Foundation for Hospices in sub-Saharan Africa the precursor to GPIC.